In 1999, oil powerhouses Exxon and Mobil merged to create Exxon Mobil. To help celebrate and memorialize the occasion, the chairman of Mobil sought a gift for his 46,000 employees that marked the completion of the merger with Exxon. To create a gift that would resonate with the employees. To symbolize the company culture. To reinforce the appreciation of the company’s leadership. In celebration of the Exxon Mobil merger, employees of Mobil corp were presented with a sculpture of the greek winged horse, Pegasus. 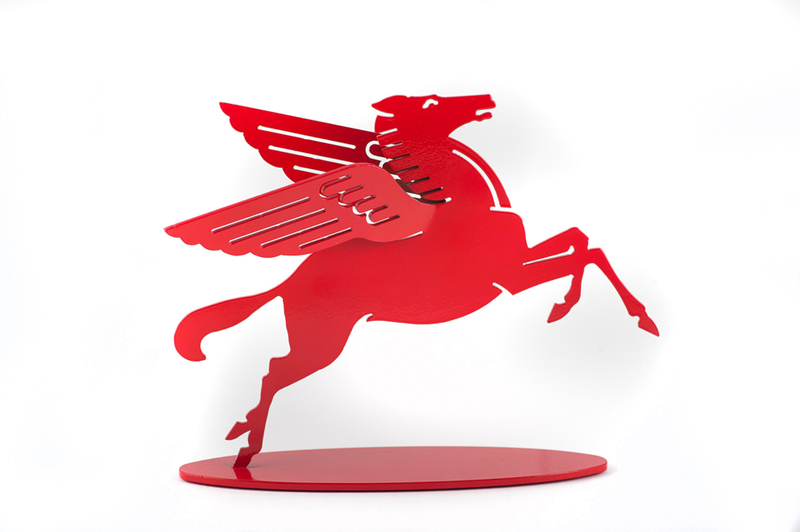 From the earliest days of the Mobil brand, Pegasus was the symbol of the company culture – representing freedom and mobility. This historic, iconic symbol of Mobil was the perfect model to mark such a pivotal occasion in the company’s history and to unite the historic tradition of the company with its optimistic future. In addition, the custom packaging which housed the sculpture illustrated the company’s milestones since its founding in 1866.